The past century has seen a huge and dramatic surge in technological discovery. From man walking on the moon to the World Wide Web – we’ve come a long way. One of the advancements that is taking the world by storm is in the area of robotics, but just how far have we come, and how much further can we go? When you think of early robotics, you might think of the turn of the 20th century or perhaps even later. But, we’re betting that you were unaware of just how early humankind started to dabble in robotics. The earliest example that we know of dates back to 400 BC when the Ancient Greek philosopher, scientist, mathematician and friend of Plato, Archytas, created a mechanical bird which is said to have ‘flown’ 200 metres, powered by steam. This incredible and advanced creation was the first of its kind and opened the door to a whole industry of innovation. Following on from the work of Archytas, scientists and inventors quickly became fascinated by the opportunity to create humanoid robots. The first fully functioning humanoid robot was created by Leonardo Da Vinci in 1495 and took the form of an armoured knight which could lift its arms and open its jaw. So, in the 21st century, we have come a long way. With self driving trucks, designed to save lives and robotic arms that can conduct surgery with unrivalled accuracy, we have truly grasped this opportunity to improve lives through the use of robotics. But, what’s next? The question that has been on everyone’s lips since the dawn of robotic creation is how far can we actually go? Will we see the Hollywood interpretations of robotic technology brought to life? 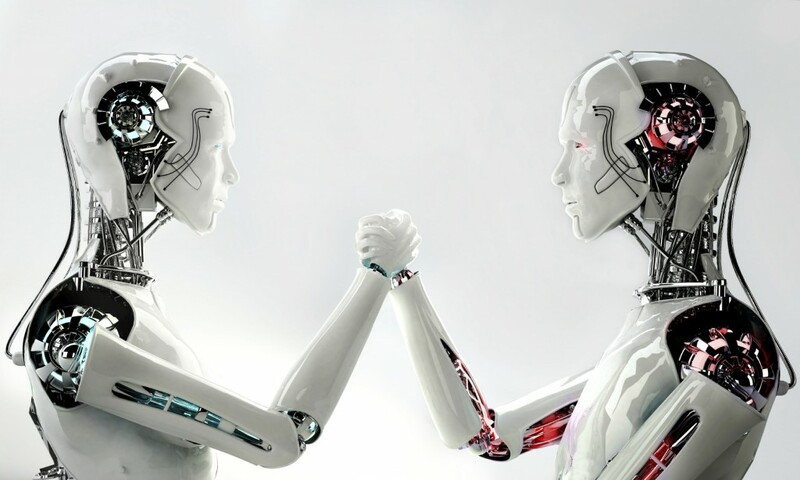 While artificial intelligence seems to be advancing at an astronomical rate, how can human workers compete with the accuracy, efficiency and effectiveness of their robotic counterparts? Well, entrepreneur, Martin Ford has defended the rise of the robots, stating that robots could actually create more jobs than they take away. They also provide a chance to better the processes in place in just about every industry, such as the RoBear which allows for the safer and more efficient lifting of elderly patients. The truth is that we just don’t know how far we could advance robotics technology in the coming years. But what we do know is that as these innovations improve our lives, it’s important to encourage and further these advancements, which is why, here at Airedale Springs, we’re so excited to see what the future will hold. Our products are essential to a whole range of industries – from wire forming to prison springs, we have a variety of products which make it possible to make such huge advancements in the robotics industry as well as many more. If you would like to find out more about any of our products or services, please don’t hesitate to get in touch with us by calling 01535 643 456 to speak to a member of our friendly team today.